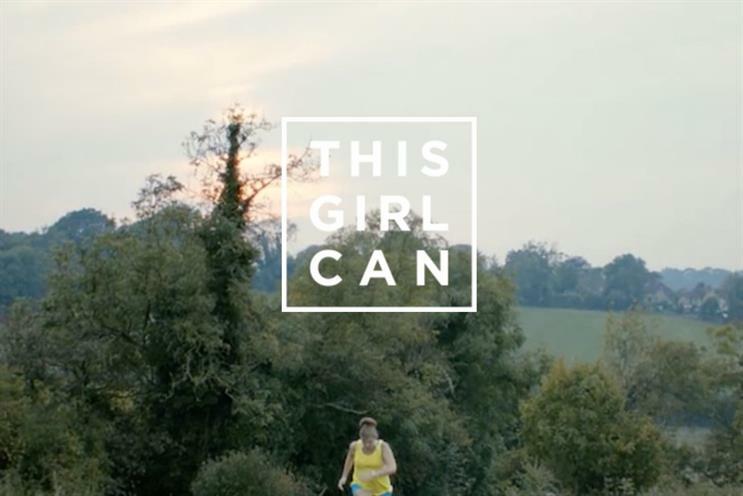 Sport England's 'This Girl Can' has encouraged 2.8m women into doing more exercise, a year after launch, according to the independent figures from research group TNS BMRB. The figures build on Sport England's own findings reported by Marketing last month that the campaign had boosted the number of women over the age of 16 years old playing sport and keeping active once a week, every week, by 148,700. TNS' results appear to be less stringent in terms of criteria. The research firm interviewed a sample of 1000 women in November. It extrapolated the following stats: that 2.8m women aged 14-40 and aware of This Girl Can would have done "some or more" activity as a result of the campaign, while 1.6m women would have started exercising. The campaign, which has been designed to appeal to women of "all shapes and sizes" by using taglines such as "I jiggle, therefore I am" and "Sweating like a pig, feeling like a fox", was created by FCB Inferno for Sport England, and launched in January 2015. It was built on research that suggested women were less likely than men to take up sport. Further findings published today include that the This Girl Can campaign films have accrued 37m views on YouTube and Facebook, while 540,000 women and girls have joined the campaign’s social media community. #ThisGirlCan has been tweeted 660,000 times and the campaign has been talked about in more than 110 countries across the globe. Jennie Price, Sport England’s chief executive, said: "I’m very encouraged by these new figures, which back up the Active People results we saw last month. They show This Girl Can is not just being talked about, but is also changing behaviour.